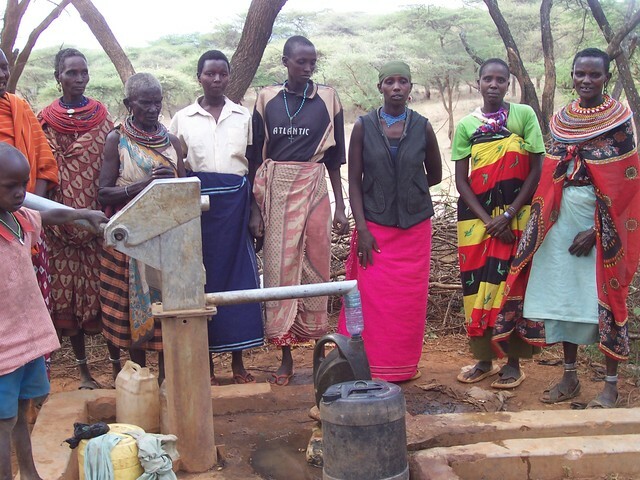 Funded by Mighty Fine, The Samburu Project drilled and installed a shallow well equipped with a handpump in this community. In the past the community had to walk 20km over the Matthews Heights Mountains. Now it varies, however on average many trek less than 1km! The Samburu people used to use the river as their primary source of water during the wet season but the river was polluted by hospital waste. 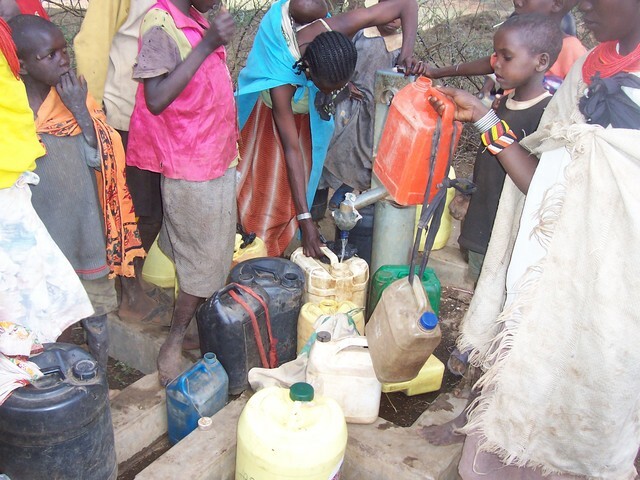 Because members now have the well and do not use the river water, the prevalence of diarrhea and other waterborne diseases has decreased substantially. More children are able to go to school and women have time to embark on business and work in the town of Wamba. Donkeys and cattle are surviving droughts as livestock can now draw water water at well. While we were still driving to this well, Juma informed me it currently is not functioning properly. When we arrived, Mr. Lesirko, an elder in the community was present and able to expound on the problem. About two weeks ago the four bolts that kept the top part of the well secured to the metal encasing began to break and Paul was unable to tighten them. Because of this breakage, the two parts are not closed tightly enough which makes it hard for the water to flow up. Fortunately the community has enough money in their repair fund to pay for the spare parts. They knew what to look for since they had previously had this same issue and were able to replace the bolt. However, this time around, they could not find the bolts in town. Paul is aware of which bolt to get and will go into neighboring towns to find the spares. 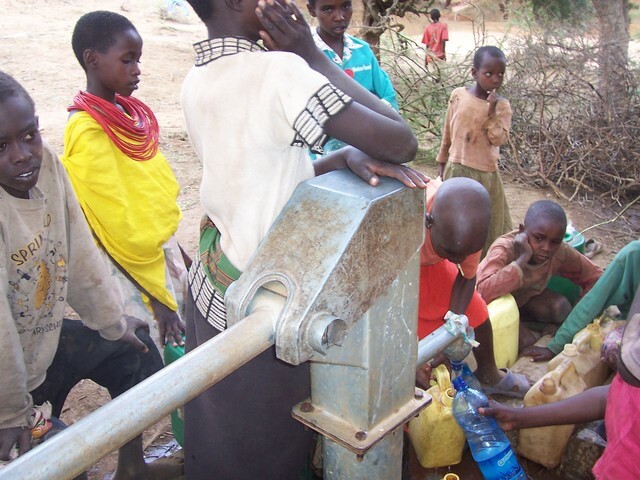 For now, in order for the community to take water from this well, someone has to actually stand on the spout part of the well in order to close the gap. However this is not a long term solution since it does not effectively or permanently close the gap and it still takes about thirty seconds of rigorous pumping for the water to flow up and come out. Repaired well after a breakage. In addition, Juma mobilized the community of Jerusalem for future well issues. Children of the community cracked the slab of concrete around the well and it needed to be repaired. 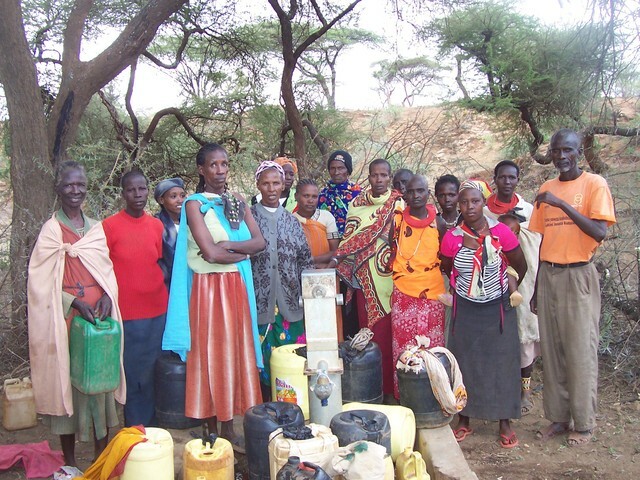 Paalo and members of the community constructed a new slab for the well. -Not Functioning for 2 weeks prior to the visit because of a broken rubber. Community secured pump with wire so the children would not break it. -The community has pulled contributions for rubber repair. They were waiting for the supply. 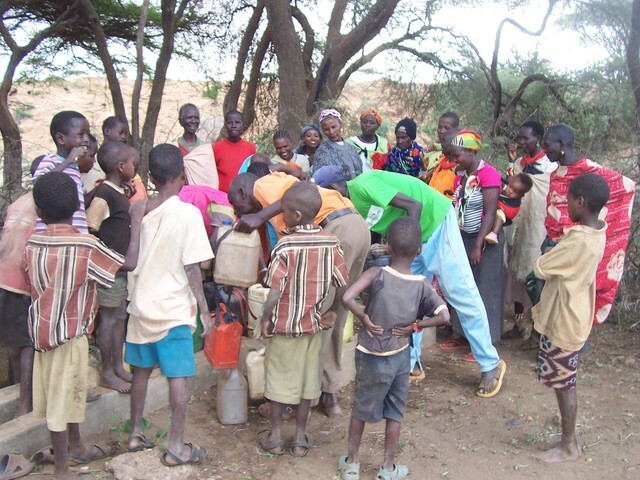 -The community claims, "The whole world is taking water from this well"
-Many people have moved their houses closer to the well, putting them into a malaria zone. -Needs a permanent fence because it is along a corridor with quite a bit of foot and animal traffic, which makes it more prone to breakage. -The community members knew how to fix it. People have moved their houses closer to the well, which unfortunately puts them into what is known as a "Malaria Zone"; therefore they are more susceptible to contracting this lethal disease.